Enjoy the aromatic and flavoursome cuisine of India in your own kitchen. This exotic cuisine is perfect to bring some warmth to any home and add a bit of spice to your diet. 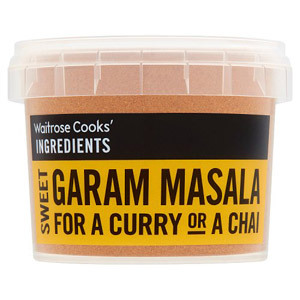 Waitrose's choice of high-quality spices and pre-made sauces will bring a world of flavour to your dishes and make it easy to cook up this delicious cuisine. Your email is safe with us. We promise to never supply it to any third parties. Copyright © British Corner Shop Ltd. 1999 – 2018. All rights reserved. British Corner Shop is registered in England and Wales. Company number: 5085811. Registered office: Unit X, Stover Trading Estate, Wellington Drive, Yate, Bristol BS37 5NZ, United Kingdom.